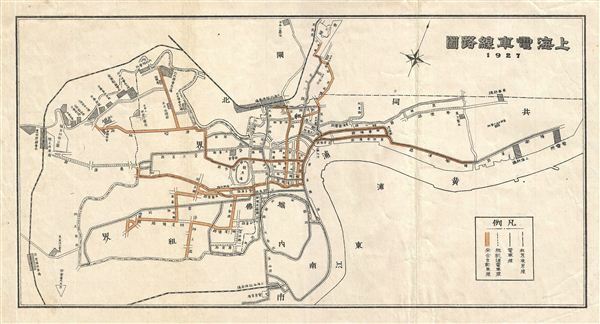 An attractive Chinese plan or map of Shanghai, China, dating to about 1927. Streets, parks, and districts are identified. All text in Chinese.